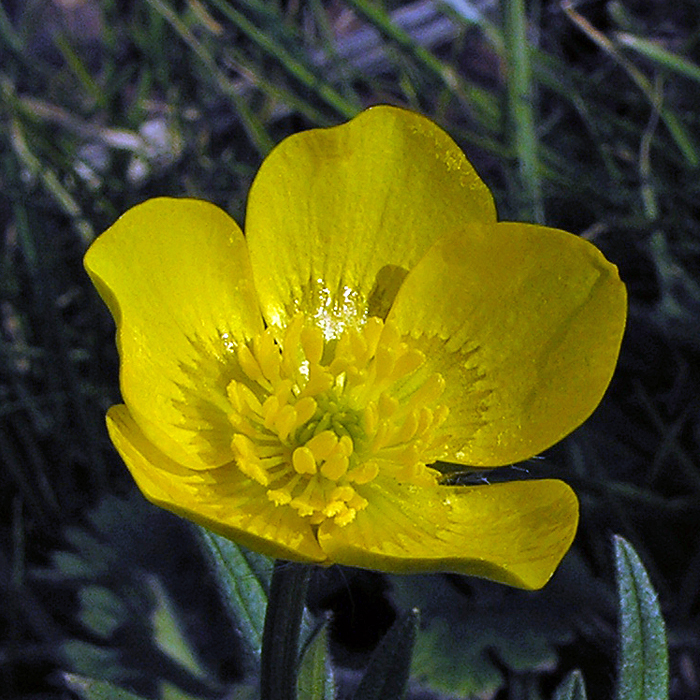 This buttercup is usually one of the earliest to flower from fresh Spring growth. It has reflexed sepals which distinguish it from R. repens (Creeping Buttercup) and R. acris (Meadow Buttercup)the other two commonest buttercups. 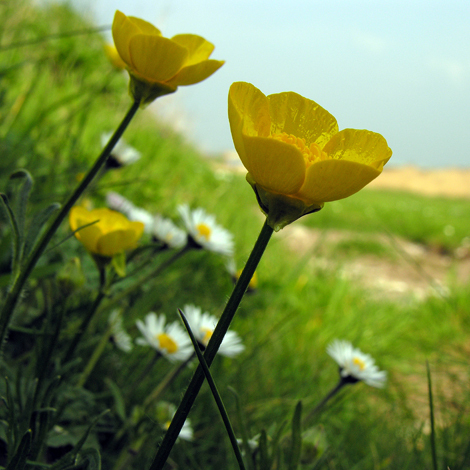 This is not an early find - I usually see the first of these buttercups on or around this date. It tends to have one main flowering period in Spring and not to persist in large numbers throughout the summer and early autum lke Ranunculus repens and Ranunculus acris. 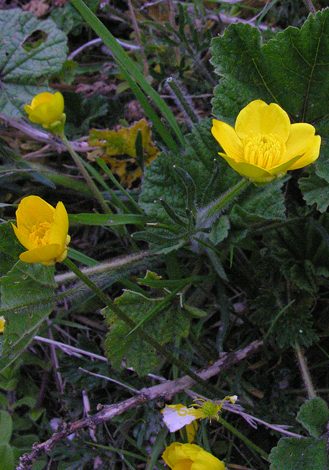 Although it is less common in Ireland and Scotland, Ranunculus bulbosus is found throughout the British Isles and Ireland.